Whatever you’re looking for, we’ve thought of it. You’ll be hard pressed to find a resort that offers you more than Le grande Hotel. We believe you should be able to focus on enjoying your time with us – many facilities and services are either included with your stay, or available for very reasonable additional rates. Our meeting room offers the perfect combination of modern atmosphere and excellent services while able to accommodate up to 270 persons with full equipment.Le Grande Bali Uluwatu offers the perfect combination of a modern atmosphere and excellent services to make your meeting truly memorable. Grand Sakinah can be divided into 2 meeting rooms (Grand Sakinah 1 & Grand Sakinah 2) accommodating up to 270 persons. Experienced and professional event team, exception catering option of indoor or outdoor gala dinner venue and luncheon with spectacular view of the golf course. Nominee of Best International Restaurant 2017 – NOW! Bali Magazine. 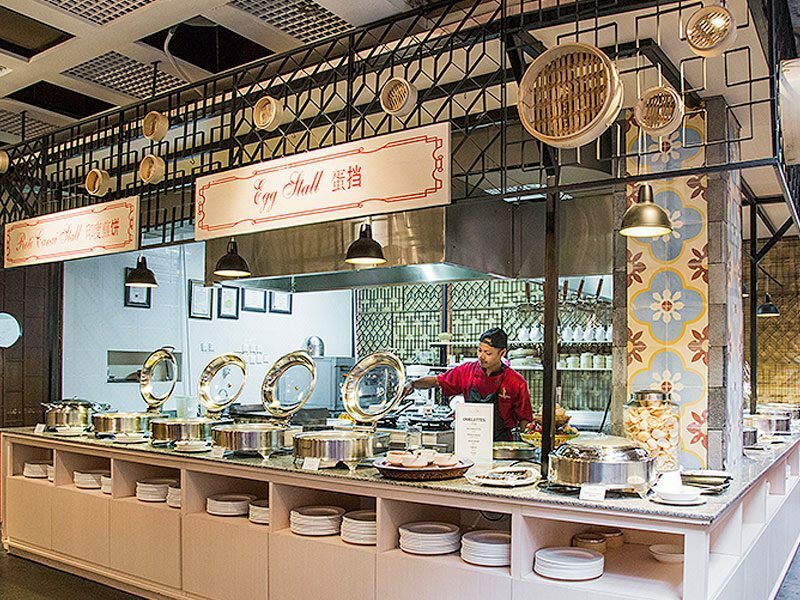 Open from 07:00 am – 11:00 pm, the Little Nanyang restaurant offering the widest and most tempting choice of international buffet breakfast, Afternoon tea, live music BBQ, sizzling steaks, fresh seafood and innovative specialties and a la carte. D’Bar serving an impressive selection of premium drinks, cocktails, and appetizing snacks to the after dinner crowd in an atmosphere of true relaxation on the pool side. Enjoy our luxurious spa treatment with options of indoor or outdoor, that will expel the aches and tiredness behind as you are fully awakened refreshed for the day ahead. Longhours of traveling can made you feel weary and tired. A spa treatment will leave the aches and tiredness behind as you awake refreshed for the day ahead. It promises a blend of indoor pampering treatment that will leave you in nothing less than a luxurious state of ease and renewal. The Ulu Gym, our new facilities for our valued guests. 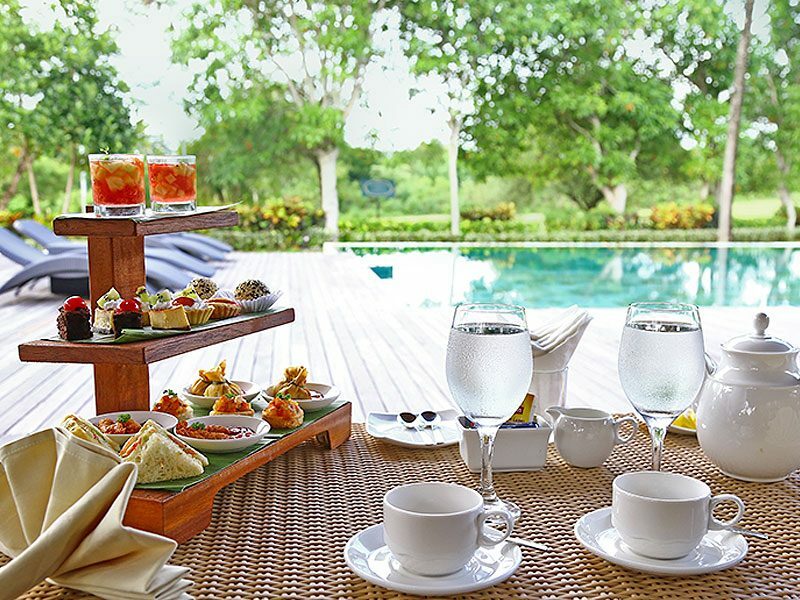 Located strategicaly by the Tirta Pool, side by side by the D’ Bar. Open every day from 6.30 am to 10 pm. 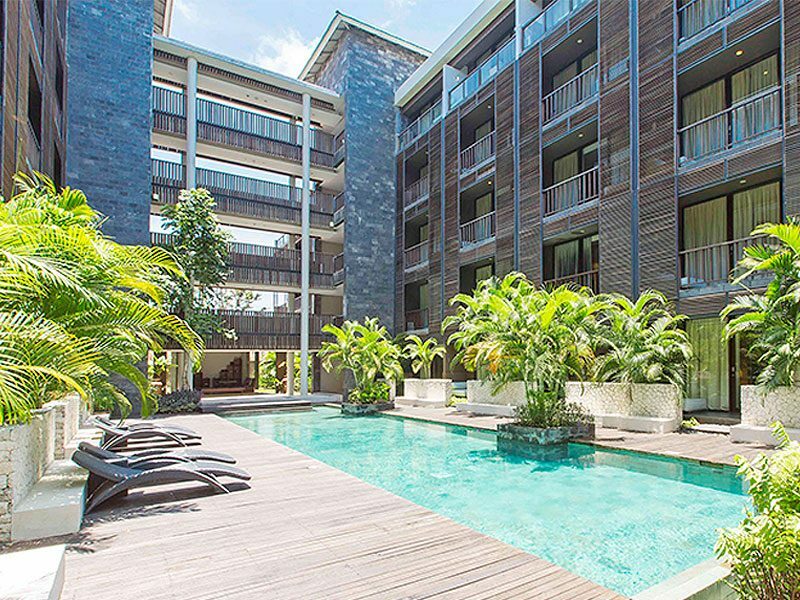 Our large main swimming pool surrounded by lush green landscape, fenceless view to the green golf fields of New Kuta Golf Bali, side by side with the Children Pool gives you a real quality time of your escape vacation. Located between Ruby and Sapphire building, this swimming pool surrounded by the Balinese stile garden. Le Grande has lined-up a wide range of recreational activities and wellness program for your leisure. Golf, yoga, cycling, tennis, billiard, Table tennis, Mini Soccer, Mini Golf, Swimming/ pool activities, Traditional games, Bali dance lesson, Young Coconut leave waving etc, are some of the activities you can indulge in. 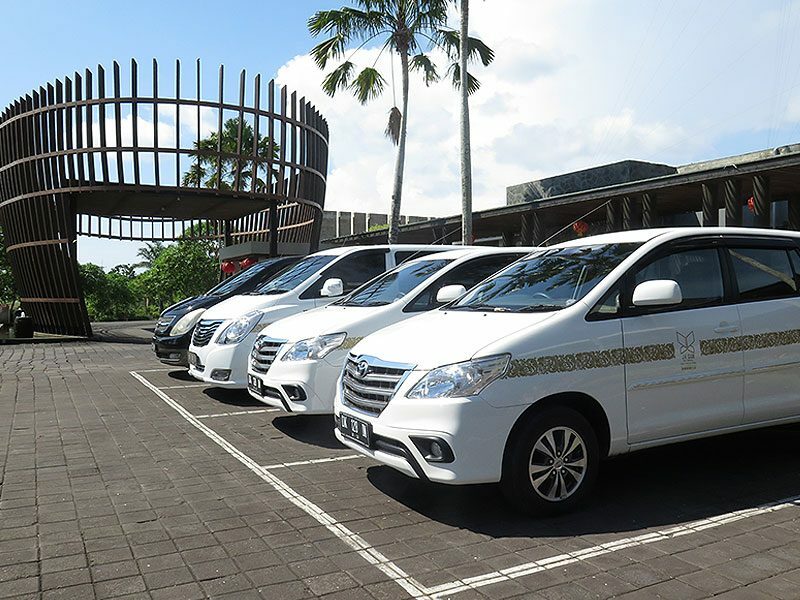 We arrange Free scheduled shuttle service to some of the best beaches in south Bali. Dreamland Beach, Padang Padang Beach and Samasta Lifestyle Village Jimbaran.